Ever wondered how to make challah? Bring your family and come learn with us! 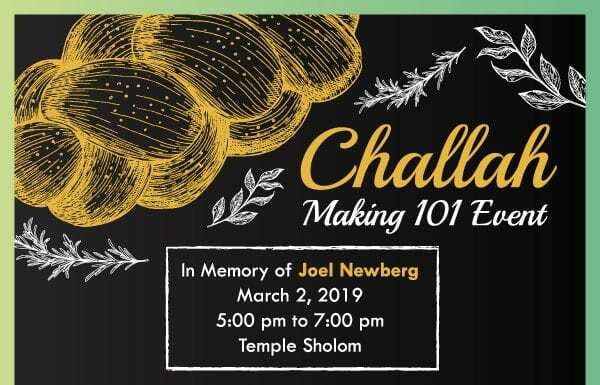 Join Brotherhood and KIDdish for the first Challah Making 101 class in memory of congregant Joel Newberg. Joel was a faithful congregant who loved to make challah for Shabbat. We will have all the ingredients and pan for you to leave with your very own challah to take home and bake. While the dough rises, we will gather in the sanctuary for Havdalah service. Kids can make their own challah cover too!